Budget wants to save you more money. 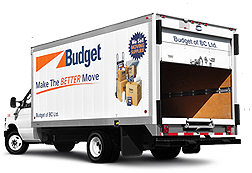 We offer a wide range of vehicles, from economy to large moving trucks. So no matter what your needs are,we've got you covered. It takes work to be the best. At Budget, we're especially hard at work to make sure you're getting the lowest rates available. Whether calling to make a reservation or walking up to our rental counter, our courteous and friendly staff will be more than happy to assist you with everything you need. Devon Transport was formed in 1967 and since then has expanded to 30 locations all over British Columbia. Find a location nearest you and rent today! We have locations all over British Columbia, from Tofino to Cranbrook. So no matter where you are or where you're going, we are close by!